Happy Friday to ya’ll! We almost didn’t sneak this week’s post in on time for today. Better late than never. 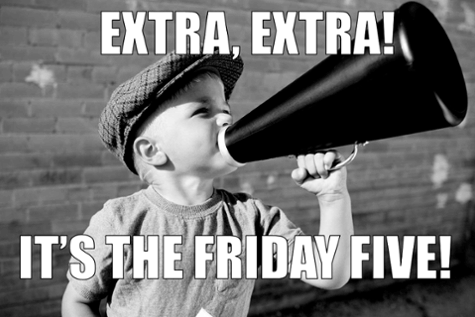 And here’s what’s on the list in this edition of The Friday 5: Five Headlines from Social Media, Content Marketing, SEO, and Web Design, keeping you up to date with the latest news, trends and tips from the past week. (Content Marketing Institute) As a content marketer, you have probably heard the call for us all to become brand storytellers. While this sounds great in theory, the tricky part for many companies is determininghow to develop these stories in the first place. There are no hard-and-fast rules for developing your brand’s stories, but you can go back and look at classic storytelling and structure as a helpful map to guide you. For example, the classic “hero’s journey” from Joseph Campbell’s, The Hero with a Thousand Faces, outlines what he calls the “monomyth” — which is a pattern that many believe can be found in almost every narrative around the world. (Social Media Today) The best startups have a customer loyalty strategy – after all, it’s a lot easier and cheaper to keep happy customers than it is to recruit new ones. Every weapon at your disposal has to be used in the war for brand awareness and customer loyalty. Yet while social media is a revolution in our ability to connect with customers, both one on one and on a bigger scale, successfully improving customer loyalty through social media requires a different approach than standard brick and mortar strategies. Nothing replaces world class products and great customer service. But they’re not enough either. Here are six strategies to keep in mind that will kick your word of mouth marketing to the next level. 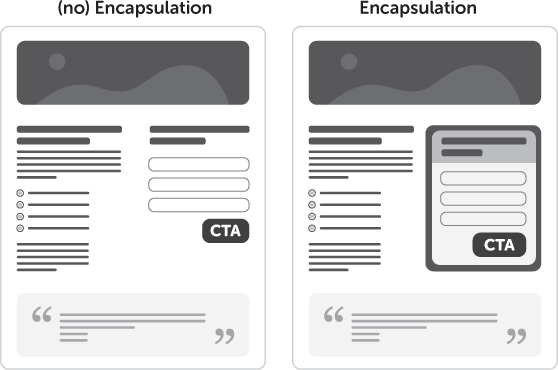 (Unbounce) Design rules. Design RULES! A subtle difference, but which would you pay more attention to? My guess is the second, as it’s been crafted (albeit not very subtly) to be more persuasive. Designed. (TopRank) Creating original content is resource intensive and while some companies that have all the copywriting resources they need (that’s an exception not the rule) it makes sense to curate content in addition to publishing original articles and media. Curation is the cornerstone of being useful on the social web by finding, filtering and adding insight to content online and sharing with social networks. The story of Apollo 13 astronauts trying desperately to get back to Earth after a failed mission has a lesson for B2B marketers. Astronauts used the moon’s gravitational pull to slingshot them so they had enough power left to get back to Earth. B2B marketers: Facebook is your moon. If you liked this blog post, you should share it. If you really liked you’ll probably like the information our whole team publishes—you should subscribe to our blog. You can also subscribe to our Lynton Webzine, a collection of articles from among the best sites in web marketing and design. And if you really, really, liked it, then you will like engaging with the likeable, knowledgeable, loveable bunch at Lynton through our social networks. Thanks!